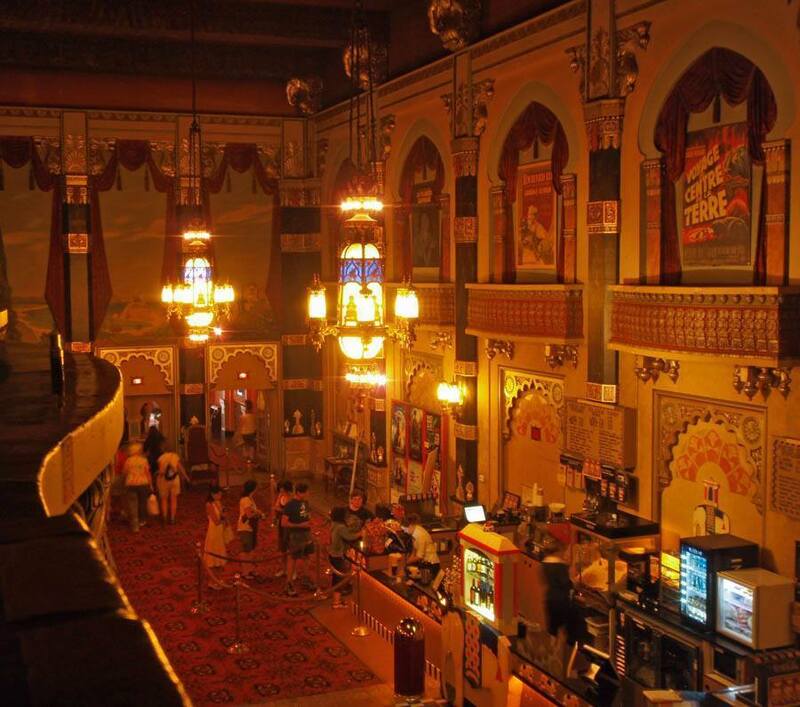 Sometimes, going to the theater is less about the show and more about the atmosphere. 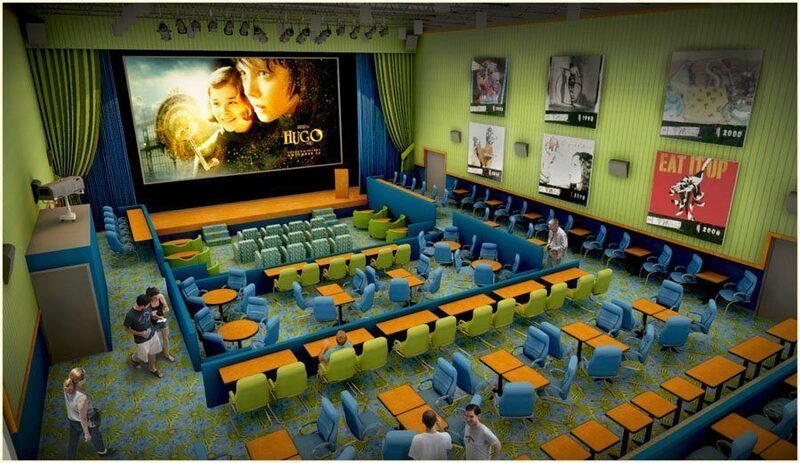 Luxurious seating, gorgeous colors, historical memorabilia and novelty all play a part in the cinematic experience. Regardless of what you’re seeing, any entertainment gets a boost in value when your surroundings are as intriguing (sometimes more so) as the scenes on the silver screen. 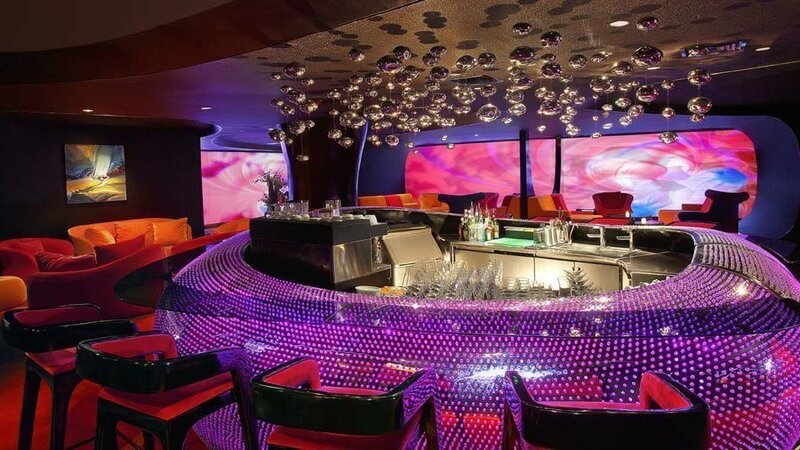 The pinnacle of Beijing nightlife has to be this tremendous theater, which offers patrons a full-on boutique experience. 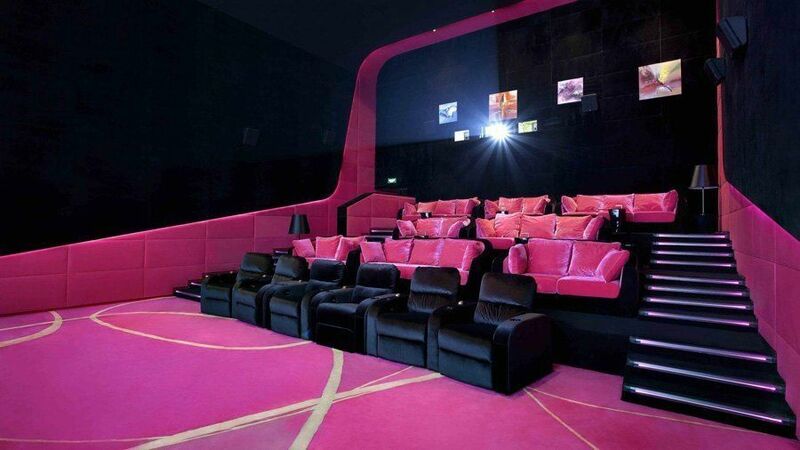 Robert Majkut designed this three-room theater with all the comforts of home (well, if you’re wealthy): sofas, pillows, blankets, and even butlers scurrying back and forth to deliver your drinks and popcorn. 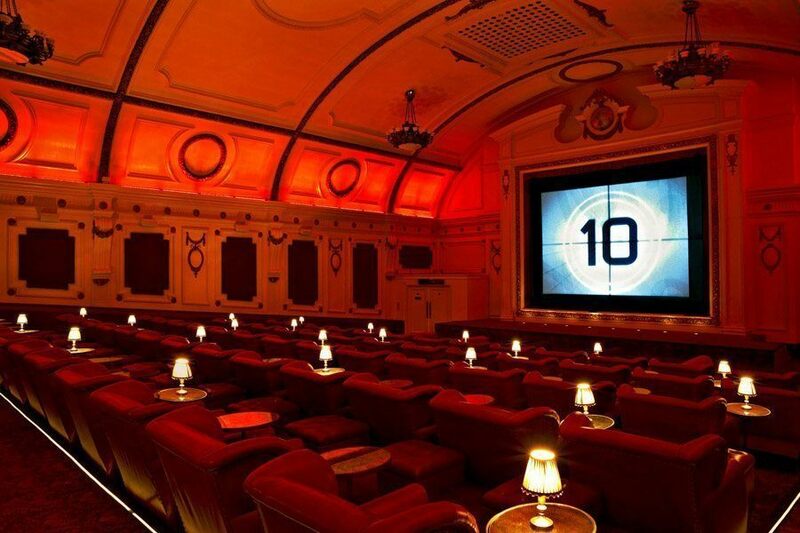 In addition to a front row filled exclusively with double beds, this wonderfully refurbished 100 year-old Edwardian theater features interiors that blend history and cutting-edge technology into one seamless, aesthetically pleasing package. 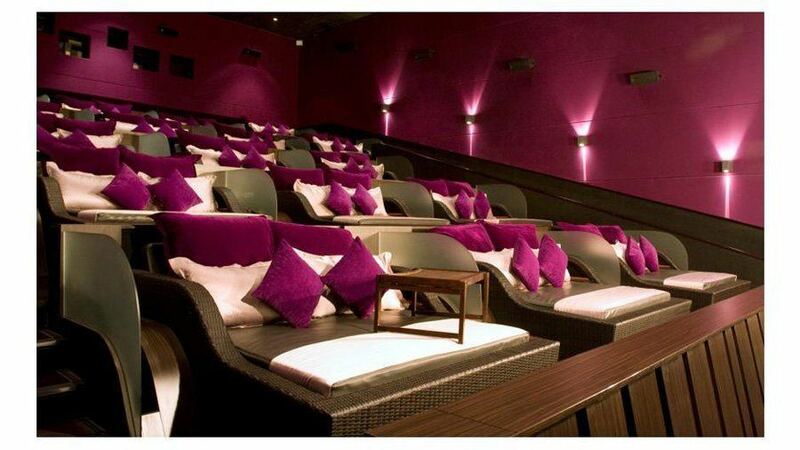 Guests who don’t want to go into debt for a bed can enjoy the film with leather armchairs, cashmere blankets and a wealth of booze and snacks. This “theater” transgresses some from the venue’s more traditional definition, resembling more of a restaurant than a performance hall. 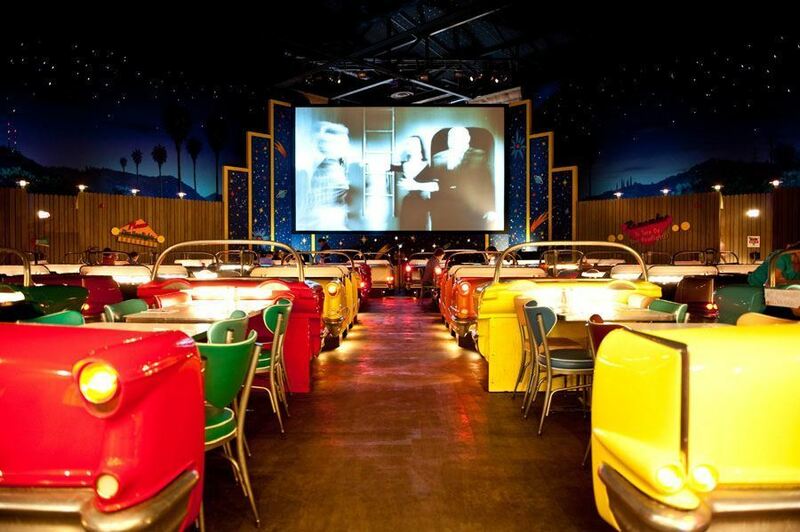 In any case, the drive-in nostalgia is powerful for those who remember this 1950s kitsch fondly. 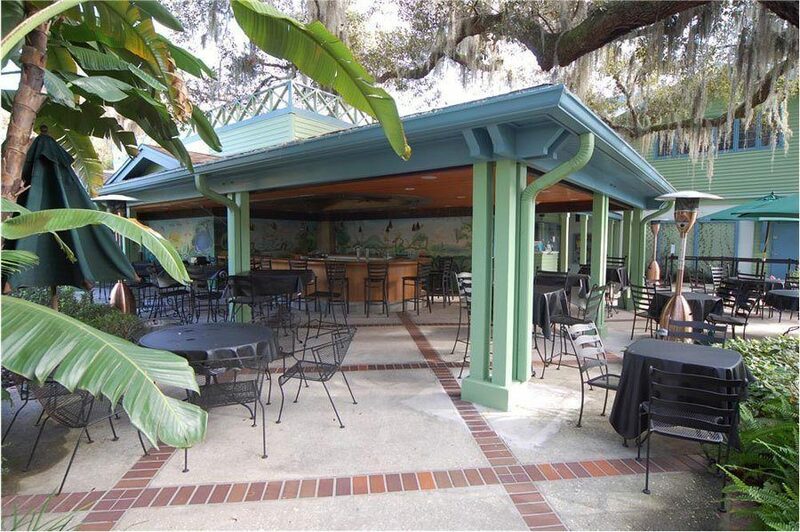 Found at Disney World, the darkened dining areas consist of classic convertible cars pointed in the direction of a screen to simulate being outdoors at night. 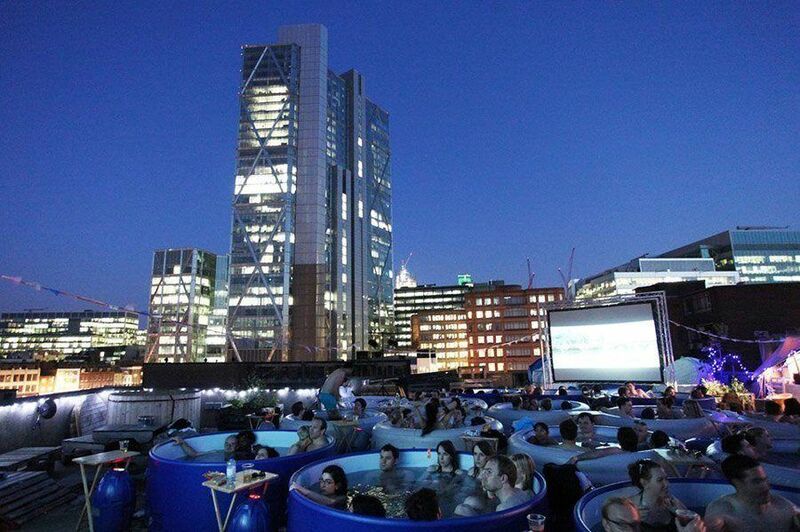 Opulent skylines, a soak in a rooftop hot tub and a good flick: the premise for the Hot Tub Cinema is certainly a novel one. 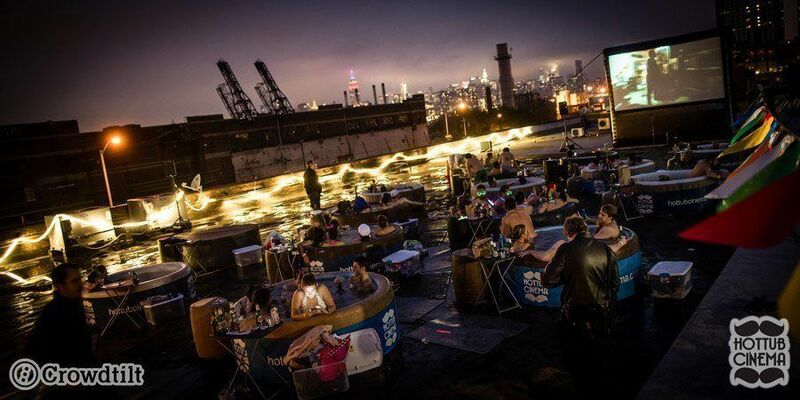 At a cool $55 per ticket, patrons are treated to a spot in a 4-6 person tub as well as access to waiters and an open bar. A group reservation includes the ability to designate a “tub captain”, who gets a $20 Uber gift certificate for a ride home. Post movie tub-hopping is encouraged. 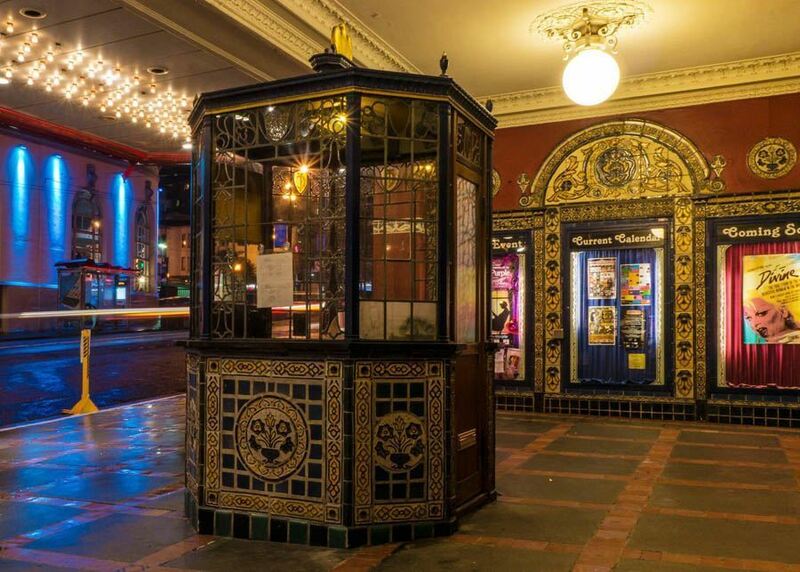 Originally built in 1927, this gorgeous three-screen art house has been operated by Landmark since 1976, and is the lifeblood of Milwaukee’s eastside. A Kimball Theatre Pipe Organ (the largest of its kind in America) introduces the 7PM shows every Friday and Saturday night, just like the old days. And like any good theater experience, cocktails are available for enjoyment inside the theater during performances. 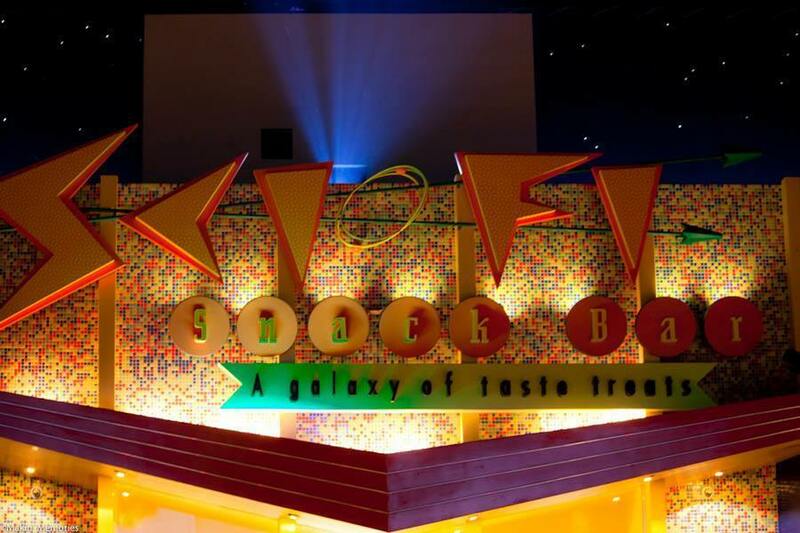 Actually a chain of cinemas, the Blitz has at least eight screens per location and features everything from restaurants to live music performances to pool halls to karaoke and more. 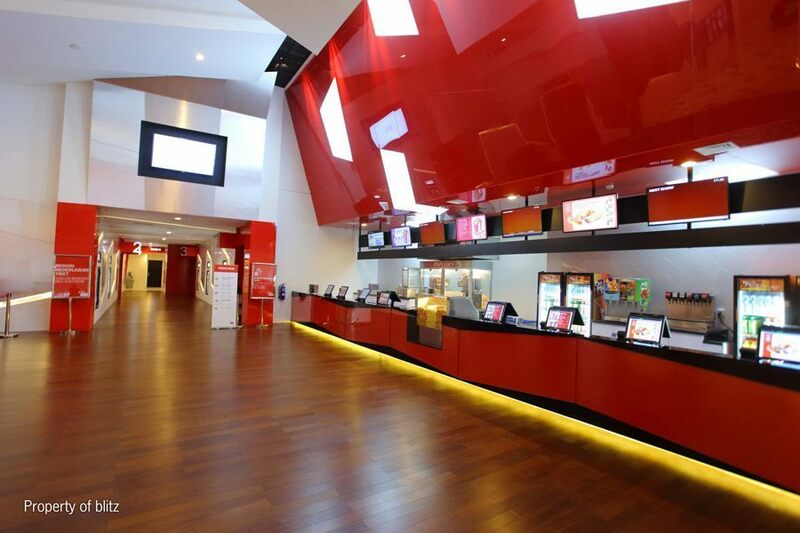 A phenomenon in Indonesian entertainment since its debut, and will likely grow to include more locations – where you can continue to indulge in Hollywood blockbusters and international films, as well as art-house and indie pictures – all with the newest technology the industry has to offer. 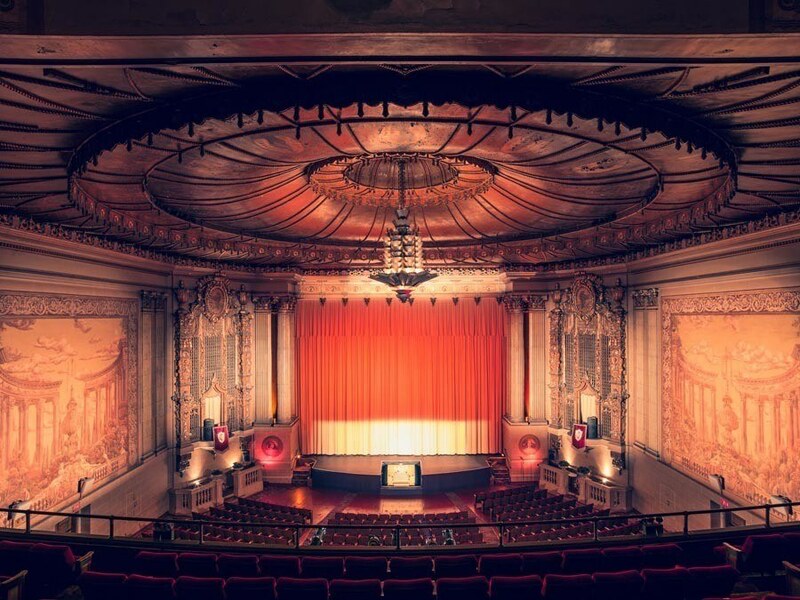 Home to no less than 11 film festivals, the Castro is a beautiful and historic landmark built with a Spanish Colonial Baroque façade. 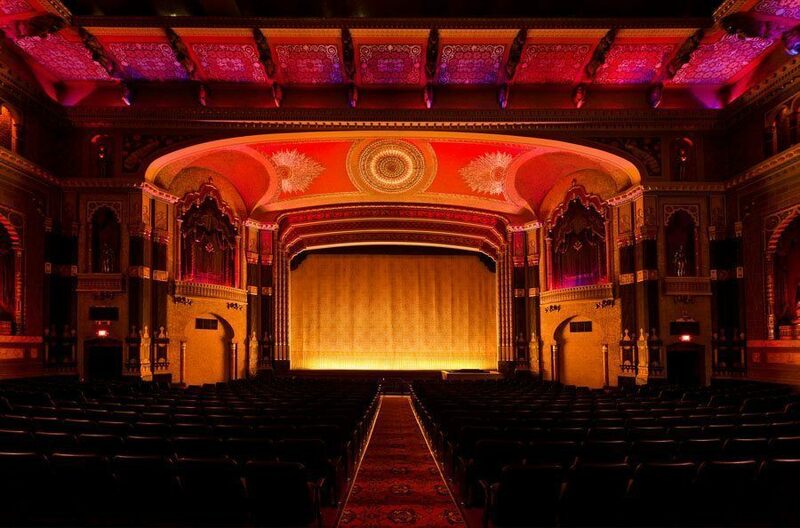 Opened in 1910 and designed by Timothy L. Pflueger (who designed other notable California theaters of the time), this iconic theater features 1400 seats and has been updated so that it’s one of the few theaters in the world which can show a 70 mm film with a separate DTS soundtrack. 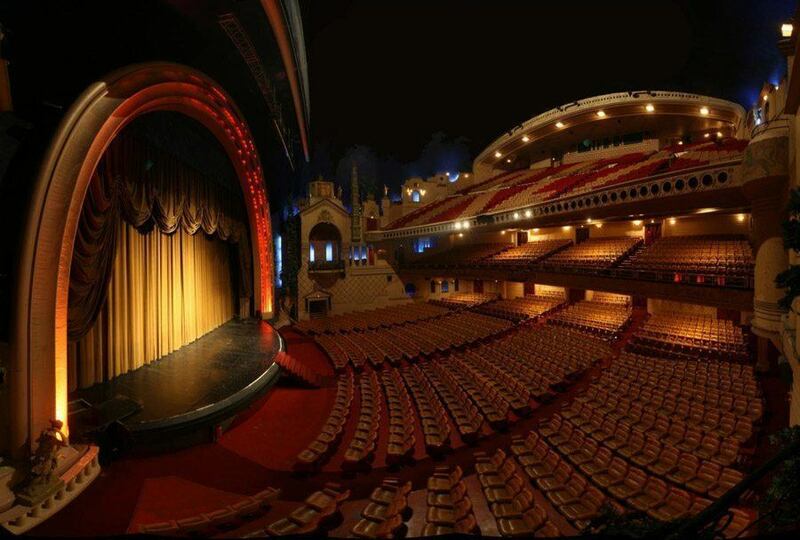 The largest cinema in Europe is the lavishly-decorated Le Grand Rex, featuring its landmark art-deco tower, fountains and starred ceiling. Today it specializes in major Hollywood releases – especially Disney films – which unlike most theaters in Paris, it shows dubbed in French. 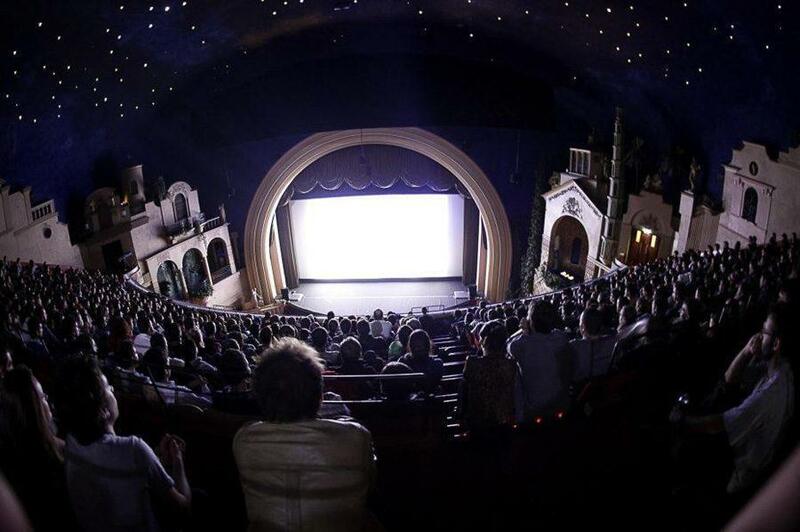 Each April, the theater attracts more than 48,000 tourists for the annual Jules Verne Adventure Film Festival. 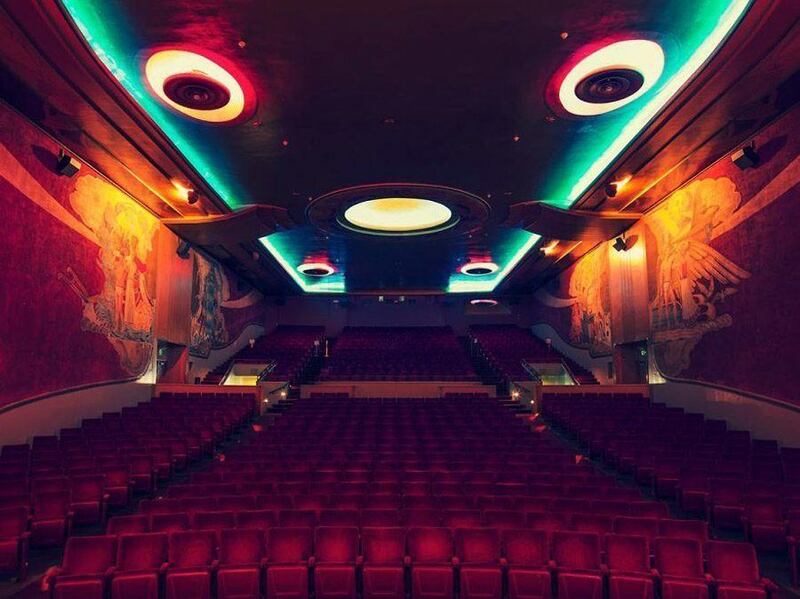 Given its close relationship with the entertainment industry, California is home to many impressive theaters, and the 1941-erected Orinda is no exception. 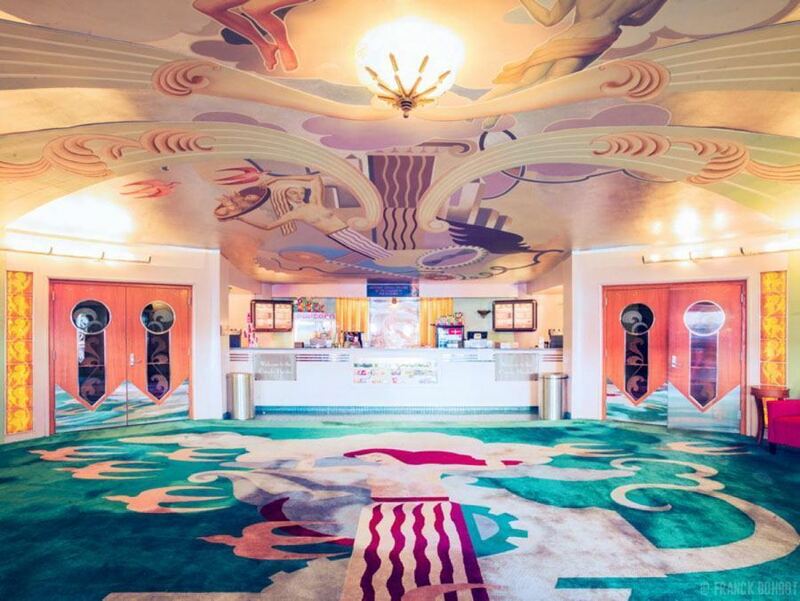 Another feat in Art Deco design, this lovely theater was actually slated for demolition in 1984, until preservationists saved it and turned it into its own development project. This expansion added two new screens to accompany the original.